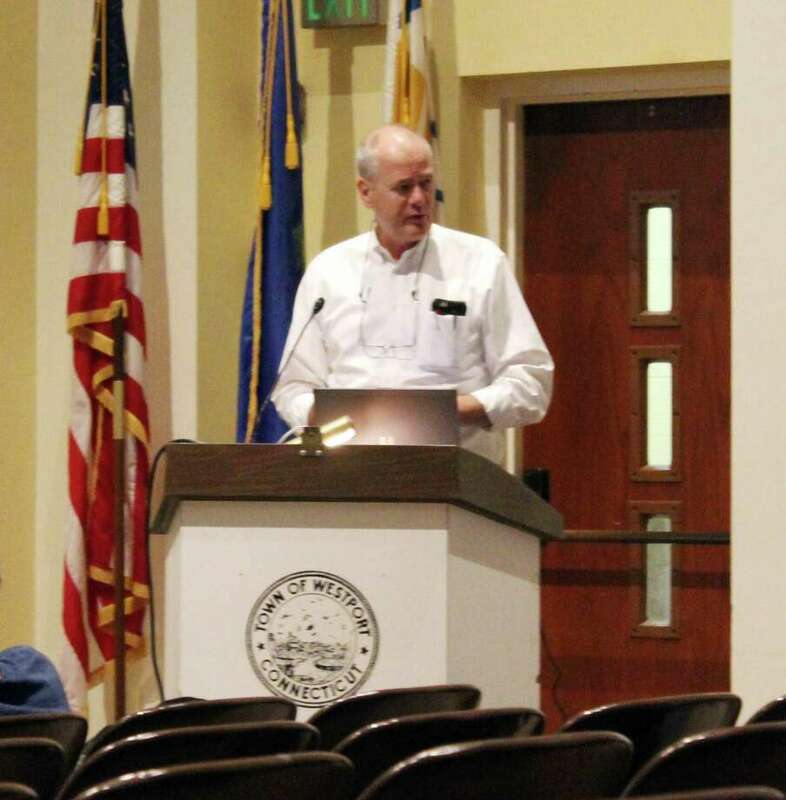 Glenn Chalder presents a draft of the Westport Plan of Conservation and Development at a planning and zoning meeting Sept. 14 in Westport. After two years and much public feedback, the planning and zoning commission will move forward with finalizing a plan of conservation and development to guide the community in future developments. After fewer than 30 people showed up to the commission’s final public hearing on the proposed plan, some board members expressed hesitation about closing public comments. Despite having a lower meeting turnout than expected, the board still received a high volume of comments on the plan draft, which was prepared by Glenn Chalder of Planimetrics, a multidisciplinary consulting firm based out of Avon. Other commission members felt after two years of reaching out to people through social media and meetings, it was time to pass the plan. The commission eventually did vote to close the hearing and move forward with finalizing the plan, with four votes for closing, three against it. The input given at the final hearing will be considered when making the final draft and Commission Chairwoman Catherine Walsh said the plan can be amended over the course of the next 10 years it’s meant to be in effect. The plan, which addresses conservation, development plans and town infrastructure and facilities, was met with detailed critiques from those who did show up. One town member went through the plan page-by-page to offer feedback. Residents expressed concerns about the inclusion of the use of artificial turf in the plan, including the town’s recently adopted Net Zero 2050 goal and addressing the development of Post Road West. In January, the commission had a public meeting to ask for public feedback on the plan. There also was an online survey for residents to offer their feedback. According to Chalder, this feedback showed residents were concerned with maintaining the character of the town, traffic congestion, studying the downtown and Saugatuck area and emphasizing biking, walking and taking buses. There also is a section focusing on economic development and fixing Route One. According to Chalder, who now is compiling the comments for the commission for further revision, the feedback ranged from minor to more sweeping changes in language. In particular, he said the town’s Green Task Force made several suggestions for improvement to the sustainability section of the plan.